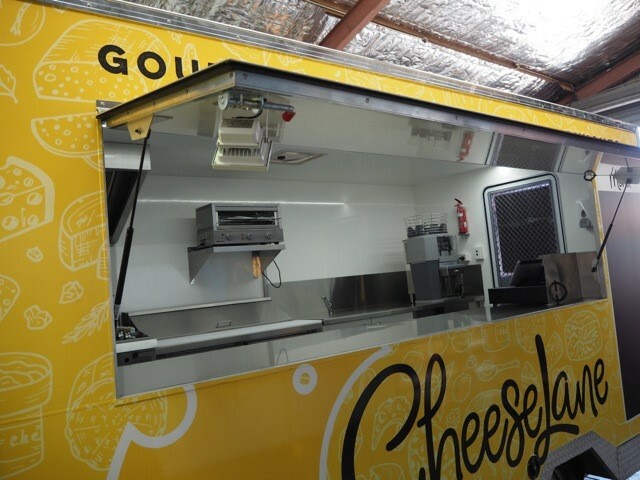 It seems that Tracey has well and truly perfected the art of making cheese toasties. 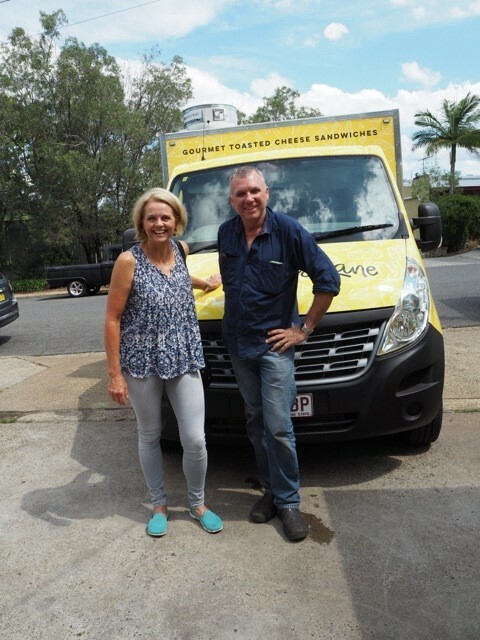 Having three hungry teenage daughters in the house (and their entourage of friends) has meant she’s had plenty of practice over the years. 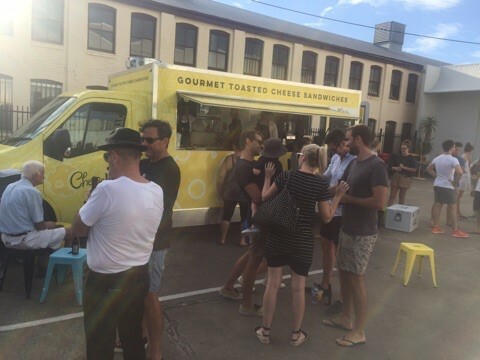 But these aint no Kraft singles type toasties that Tracey is serving up out of her brand new bright yellow food truck. 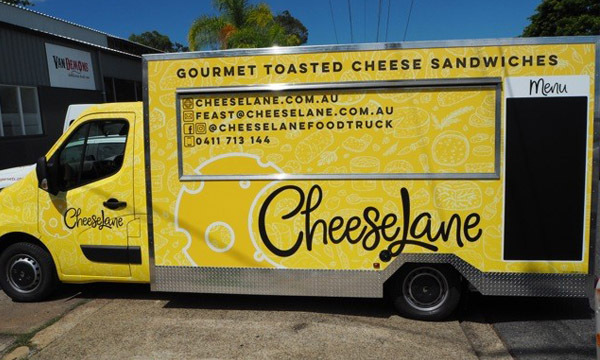 These are gourmet cheese toasties, and wow, are they deeelish! 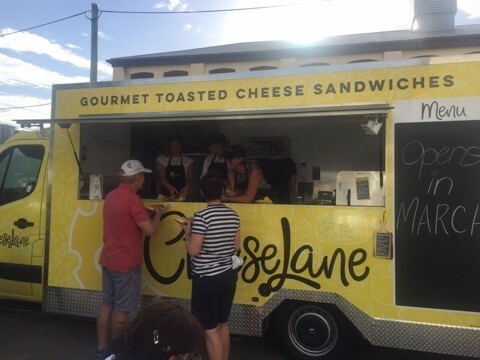 The Van Demons crew were invited along to sample these sensational bites at the recent soft opening of Cheese Lane, one of Brisbane’s latest and greatest food trucks. 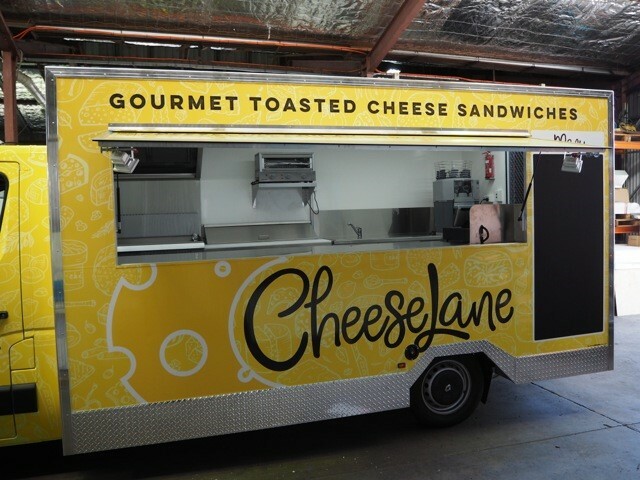 Using nothing but the finest gourmet ingredients on toasted sourdough bread, these toasties are to die for! 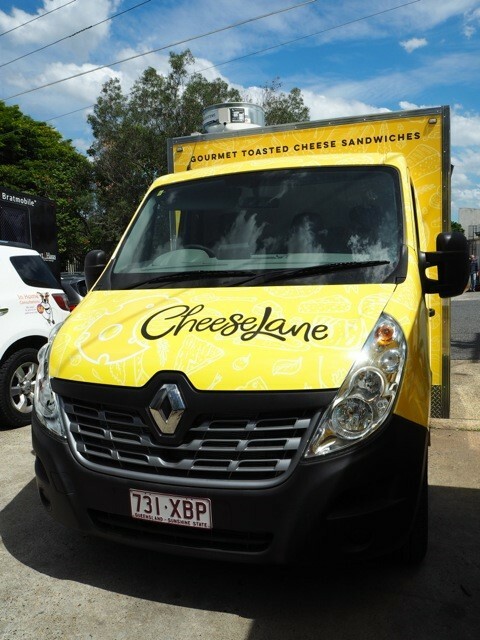 With your choice of gourmet cheeses such as gruyere, raclette, brie or aged cheddar, basted with truffled butter, and options such as free range leg ham or pastrami, gherkins or caramelised onions, we’re thinking these are a mighty fine option for breakfast, lunch or dinner! 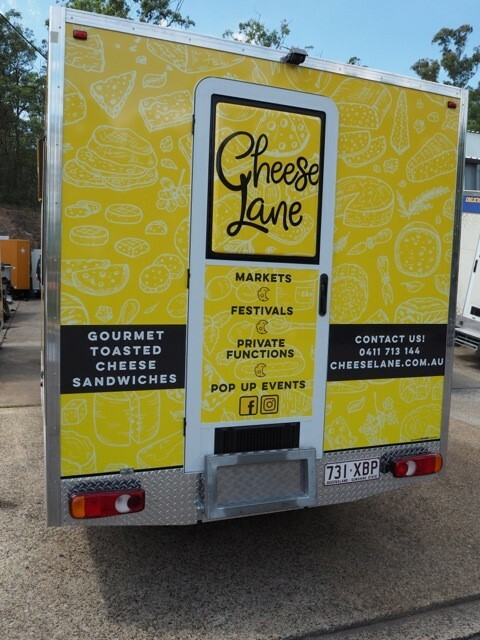 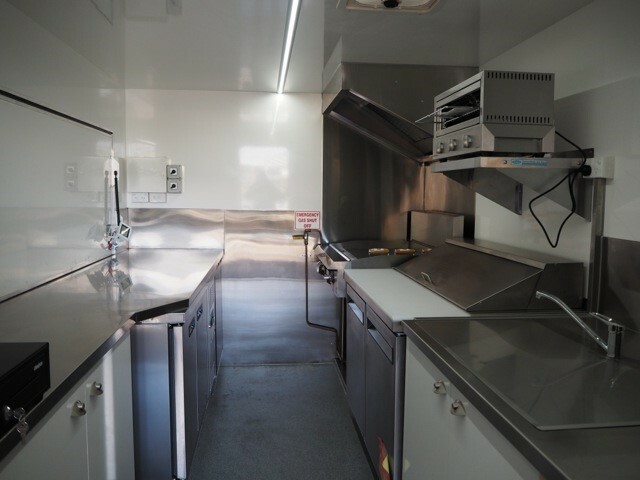 The Cheese Lane food truck has been built onto the back of a Renault Master Platform Cab light truck – perfect for getting down lower closer to your customers. 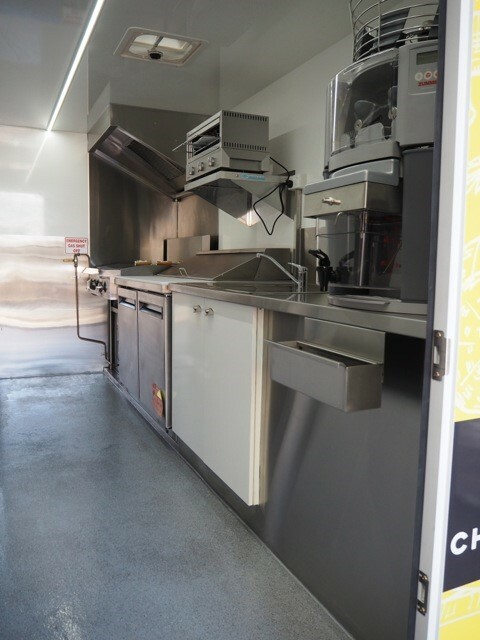 A fabulous option for anyone looking to build a new food truck. 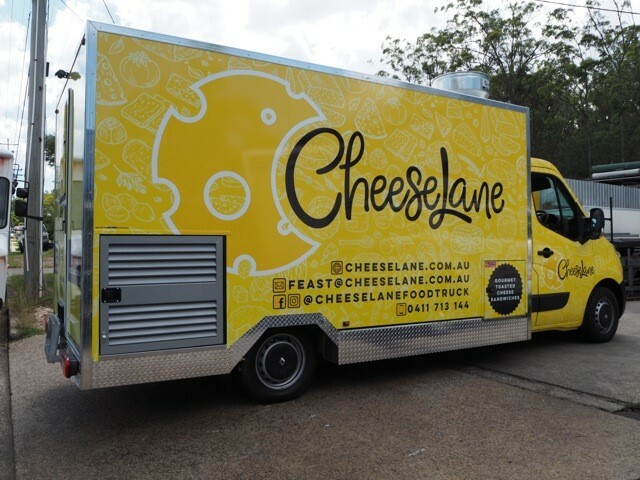 We reckon the full vinyl yellow wrap of both truck body and cab looks awesome! 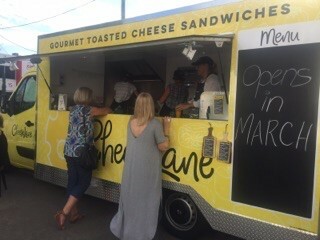 You’ll find Cheese Lane at local markets and events throughout Brisbane.